Another classic L’chaim Tish album in the world renown L’chaim Tish series. L’chaim Tish Succos, featuring 42 amazing tacks from a wide spectrum of chassidus. 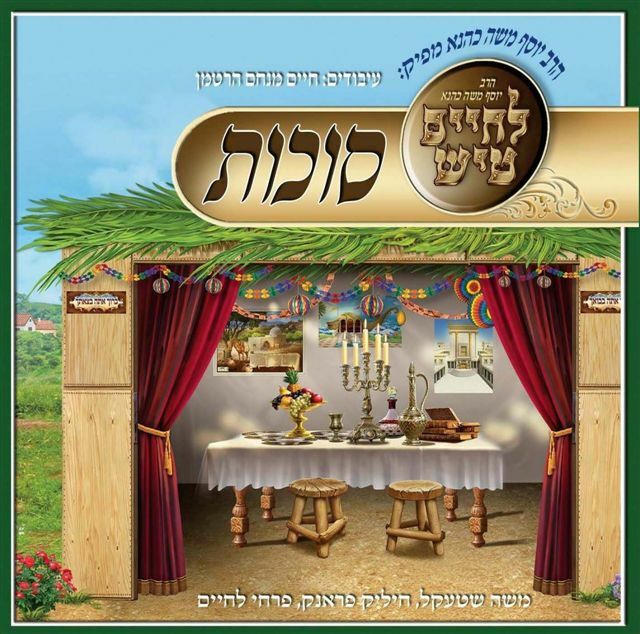 Anywhere from Chabad to Satmar, Skulen to Karlin and Belz to Toldos Avraham Yitzchak this album has it all. Presented by Yosef Moshe Kahana from L’chaim music featuring the voice of Moshe Shtekel with the world famous L’chaim Choir. Chilik Frank world known Clarinetist joins this wonderful production making you feel like you just stepped into a simchas beis hashoeiva. If that is not enough for you inside the “package” is included a beautiful “Real” Succa. Its a full color double sided “box” that’s designed like a succah with windows, a dorr and even a string to hang from your schach. This video will show how you put it together and just how much work and detail went into the whole production. Available now from L’chaim music. You can buy the CD or for the first time through MostlyMusic.com, LChaim is offering the digital download as well.